Hi, I'm a new member and I write from Italy.. sorry for my english. 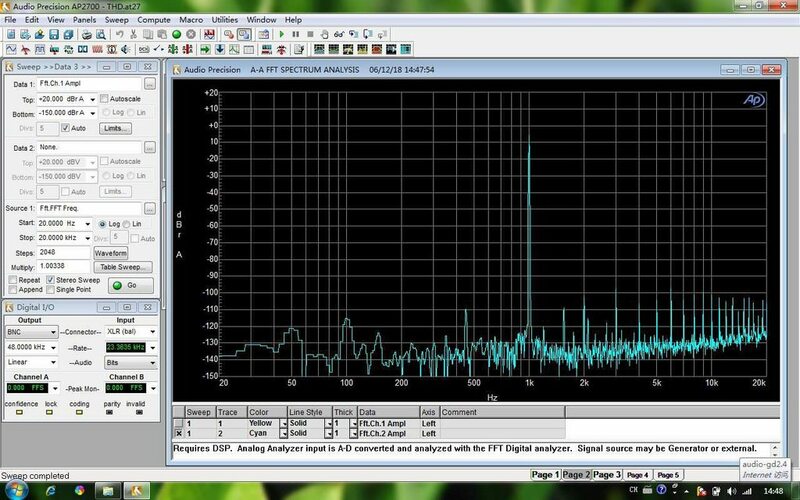 I'm interested in the question about audioGD (I have one audioGD R28 now..) and I asked to a headset engineer in my country what he thinks. "If you trust the measures and not the ears you should take Yamaha 90s products.. But you will discover that as for eating the analysis of the components does not give you information on how good will be what you eat. Forget it and trust what you listen to. It is no coincidence that I have been developing my projects around these machines for more than 5 years. 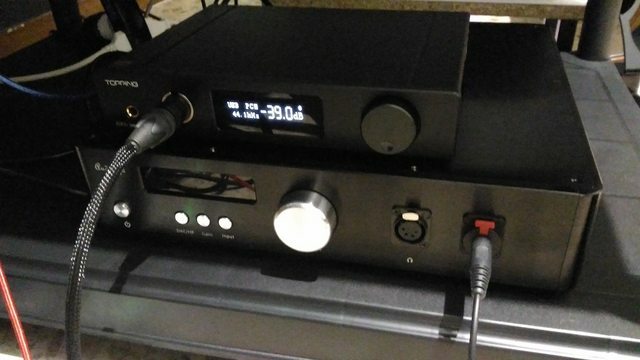 You should buy another Dac amplifier for balanced headphones and I really want to see how you will find when you realize that almost all manufacturers use integrated components to return the measures but the sound is sterile and devoid of dynamics. Violectric, Ifi, Sennheiser, oppo, etc. etc. etc. I've already already gone through all of them." Welcome to the forum BTW ! We are investigating, this is all very strange. Well, I got more dynamic from a $50 dac/amp than the well measured Dx3pro, but it's definitely not as clean as it . They say the AD chip is more dynamic than the AKM in DX3. Honestly I am not very happy about it, but it's no one's fault because people's preference is different. I think enough measurement could tell you the whole story, but how much is enough? Can we even measure everything? Just like you buy a car there is too much aspect could affect you overall driving experience which can not be told all by the numbers. If an engineer in automotive (I am) tell you that you should drive more vehicle, try them out before you buy it will people ask where he got the degree from? It's just a reasonable suggestion. I trust and love to see the measurement by amirm a lot when he call out the bad devices, but how much you will love the "good devices" (when they are just good enough in measurement) only depends on your ears. Sorry for my English also. However, some prefer getting small amounts of the right types, for example adding some of the low harmonic distortion and resonance renders a deeper, rounded, smoother, etc., sound. It might well be your ears do not like the neutral, analytical, transparent, precise, etc., sound. Yamaha of 90s likely was better! You are being given a story/myth. There is no reality to what he is saying. Do you go to a doctor when you are sick or do you take whatever some person on the internet says? So I'm among doctors here.. However, the manufacturer was contacted to provide explanations and the measurements of my R28. How do you know they are yours? And what does "audio-gd2.4" mean on the bottom right corner? The measurements are very incomplete by the way. First one doesn't go through the DAC (the generator is analog). And neither has an indication of what the actual levels are (dBr means relative, not absolute voltage). "audio-gd2.4" appears to be the WiFi they are connected to. Regardless, Audio-GD (or whomever is running this gongshow) has some really bizarre priorities. They openly admit that they don't expect their products to measure well (and they don't), that they design by ear, that the chief designer repeatedly performs "listening tests" so that they could tweak the 2nd order harmonics. And now that they are being challenged, they pull out some measurements? They have always post some measurements. Problem is that I can't get the same performance as them. They have always post some measurements. In my defense, I left the audio world for a solid period of time when the whole Schiit/NuForce vs Nwavguy thing happened. Can I know where you found these informations? the comparative tests have begun..
"Some customers may consider the DAC's sound flavor depend on which DA chips or parts built in. 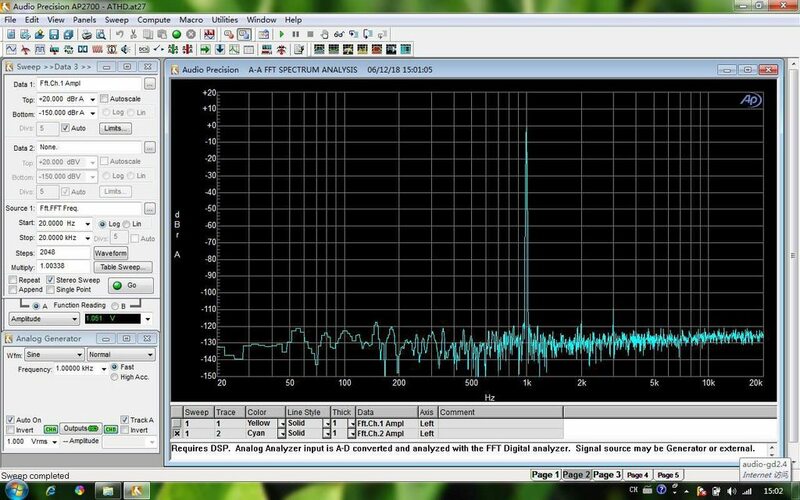 If you like to looking for the good specs, R2R 1 may not as good as the same price range ESS9028 Sigma Delta design, but its sound is analog and smooth." And the audio industry moved to D/S DAC's because the original R2R designs had poor linearity and sounded like crap. Back to the original crap but now it smells like roses.